Be sure to check out the 3D WalkThru of the home in the Virtual Tour Link 1 above. 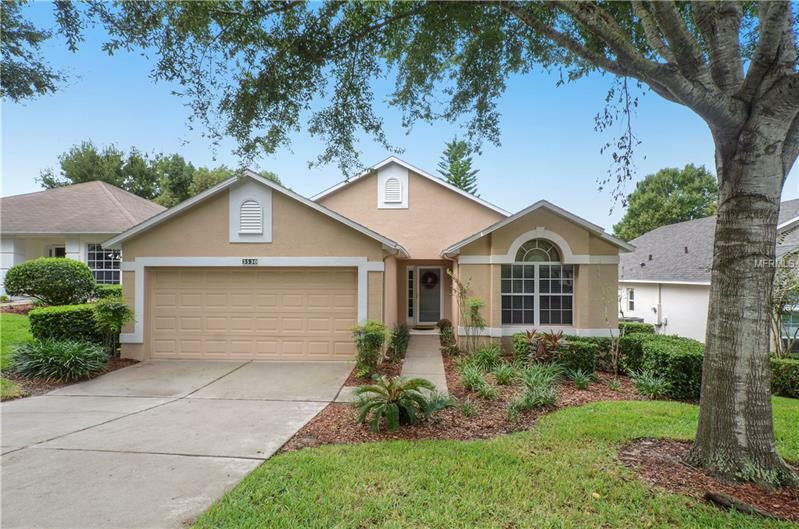 Beautiful furnished home in the sought after 55+ GATED GOLF community of KINGS RIDGE located in the gentle rolling hills of Clermont. This home is the CANTERBURY model with 2 bedrooms. Open Floor Plan has FORMAL living and DINING rooms for a ton of room to entertain, as well as the screened in porch. Updates include new kitchen and bathroom FLOOR in October 2018, new MICROWAVE Oct 2018, New ROOF May 2018, New A/C in 2012 annual maintenance in September 2018, Outside PAINTED in 2015. KINGS RIDGE has THE MULTI-MILLION DOLLAR CLUBHOUSE, THREE HEATED POOLS AND TWO FITNESS CENTERS, TENNIS AND PICKLE BALL COURTS, SHUFFLEBOARD, BINGO, CARDS, and CLUBS. The GRAND BALLROOM is used for a variety of things from DANCES, HOLIDAY PARTIES, PLAYS, AND MOVIES. If you enjoy classes KINGS RIDGE has them all from FLORAL ARRANGING to INVESTING; PLANNED TRIPS are also arranged. While you are in the community stop by the community center and check it out. HOA fee includes HOME PAINTED outside every 5 YEARS, LAWN MAINTENANCE including MULCH, FERTILIZING, and SPRINKLER HEAD MAINTENANCE. Jukebox does not Convey.